Injuries are an unfortunate part of involvement in sports and physical activity. Some are unavoidable due to accidents or collisions, however some are preventable with a careful approach to physical activity, focus on proper technique, and an informed attitude to sports! It’s difficult to read the Australian Sports Injuries Hospitalisations study, conducted across 2011-12, without cringing. The report outlines a conservative estimate of sports-related hospitalisations, stating that over 2011 and 2012 at least 36,000 people over the age of 15 were hospitalised for injuries sustained in sporting activities, spending a whopping 79,000 days in hospital! Whilst dance injuries rank low in comparison, we know that many of our students participate in other physical activities outside of dance, such as after school sports or seasonal sports. How can we as active players and parents avoid our families becoming part of these painful statistics? At WAPS we hate seeing our wonderful and hard-working students having to sit out from dance classes because of injuries sustained in sports training or games – it is frustrating for students too, who sometimes have to miss concerts or competitions they’ve rehearsed hard for! 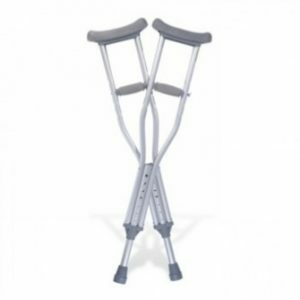 The six most common sports injuries according to WebMD are: Ankle sprains, groin pulls, hamstring strains, shin splints and two types of knee injury. 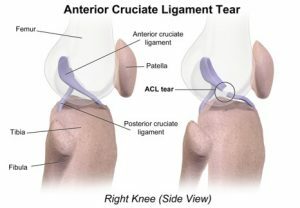 Knee Injuries 1: ACL These paragraphs are hard to write without making a pained face! The Anterior Cruciate Ligament holds the leg bone to the knee. Sudden stops or hitting from the side can strain or tear it – a complete tear is often accompanied with a “pop” sound (ugh!). They are potentially the most severe of all common sports injuries, and unfortunately, ACL injuries are most commonly suffered by players of a sport very popular with WAPS students – netball! Sports medicine expert Peter Brukner has joked that netball is a game “invented by an orthopaedic surgeon” due to the severe strain placed on players’ knees. The running, sudden stopping and then pivoting unique to netball places extreme amounts of pressure on the ACL, and Brukner states that there’s a very high incidence of ACL surgery in netballers compared to other sports due to the jumping and awkward landing involved in games. The Australian Sports Injuries Hospitalisations report states that during 2011& 12 over a thousand netball players were hospitalised for injuries obtained in games – however these numbers do not include players under 15 years of age. Unfortunately the only treatment for these injuries (if individuals wish to remain physically active) is surgery. We urge all of our students to be aware of the dangers associated with sudden stops and pivots when they play netball! Knee Injuries 2: Patellofemoral syndrome This can result from the repetitive movement of your patella (kneecap) against your femur (thigh bone), damaging the tissue under the kneecap. This injury can be brought on by running, volleyball and basketball, affecting one or both knees. This injury can take up to six weeks to clear up and takes patience when recovering. Doctors recommend continuing low-impact exercise during healing. Groin pulls: Pushing off in a side-to-side motion can strain the inner thigh muscles. This motion is common in sports like hockey, football and soccer. Athletes can treat groin injuries with compression, ice and rest – beware returning to full activity too soon, it can make your groin injury turn into a long-term problem! Hamstring Pulls: The hamstring is formed by three muscles in the back of the thigh. This can be overstretched by some athletic activities including hurdling, where the leg is kicked out sharply while running. They are very slow to heal and re-injuries are common. Strains and sprains are some of the most common injuries and can occur in everyday life, not just in structured physical activities – as such, they can also happen in dance class, so we’ve included some tips for our students to avoid these injuries! Sprains are injuries to ligaments, often caused when they are suddenly stretched way past their limits, which tears or deforms them. Dancers need to be cautious of over-stretching their muscles, causing tears in the muscle fibres or tendons. This is why every single dance and acro class at WAPS begins with a thorough stretch and warm-up activity. This is also why if you arrive late to your WAPS class, your teacher will instruct you to warm up before joining the class on the dance floor. We believe young children in sporting teams should be closely supervised when warming up to ensure all children are stretching properly to prevent injury, and that kids should be educated on how to warm up! Sprained ankles: Most athletes have experienced this painful injury, which usually happens when your foot turns inwards, stretching or tearing the ligaments on the outside of the ankle. Whilst recovering from an ankle sprain, it’s important to continue exercise to prevent a loss of flexibility and strength, which helps avoid re-injury. Your WAPS teacher will be able to let you know which exercises you can safely complete in class, however some more extreme forms of exercise like some sports should be avoided. Shin Splints: Shin splints are pains down the front of the lower legs, often brought on by running, these injuries can be experienced by dancers due to repeated stress on the lower leg. Some dancers are more susceptible to others, however it’s true that “rolling in” on your feet makes you much more likely to develop shin splints (so ensure you pay attention when your teacher corrects your feet!). When you aren’t dancing, wear shoes with good arch support and if possible, avoid dancing regularly on concrete. Sometimes rest, icing and elevating your legs for a few days will be enough to treat shin splints, but some injuries can be more severe and require physical therapy. Ensuring you use proper technique at all times (even at home) will help dancers avoid serious injuries! So there you have it – a crunchy, cringe-worthy list of injuries we want all of our students to avoid! We love that our cohort is such an active and energetic one, but want to ensure that students who participate in extra-curricular sports stay safe and informed about the risks involved with their favourite sports. We are proud to have an excellent record for safety in our classes, with our instructors constantly reinforcing the school’s priority on proper dance technique and safety! If you have any questions about avoiding or recovering from injuries please let us know, and remember that you need to keep your medical records up-to-date with us and inform us of any new injuries or conditions that may affect your safety in class. I just wanted to let everyone know that the end of year concert was great! We were so impressed by all the performances and we have a great memory of our daughters first concert. We also want to thank Miss Sarah for being an outstanding dance teacher with a lot of patience. She is truly great at what she does and you can tell she loves her role! Beau is such a lovely guy and a great teacher to the whole class and I had a lot of fun in the classes. I’d like to say thank you to WAPS staff for the end of year concert on Saturday and for all the hard work put in throughout the year, especially Miss Gina. Isabella has come a long way since the beginning of the year and built up confidence to do the concert. She had a great time and I couldn’t be prouder! I have been with WAPS for almost 4 years now and I have really seen the improvement in my dancing skills and really enjoyed going to every class! The teachers were really great too. My daughter always enjoys the drama class and comes home with big smiles every Tuesday. Thank you and the teachers for the teaching, encouragement and great opportunities. I can’t wait to see the performance in December.